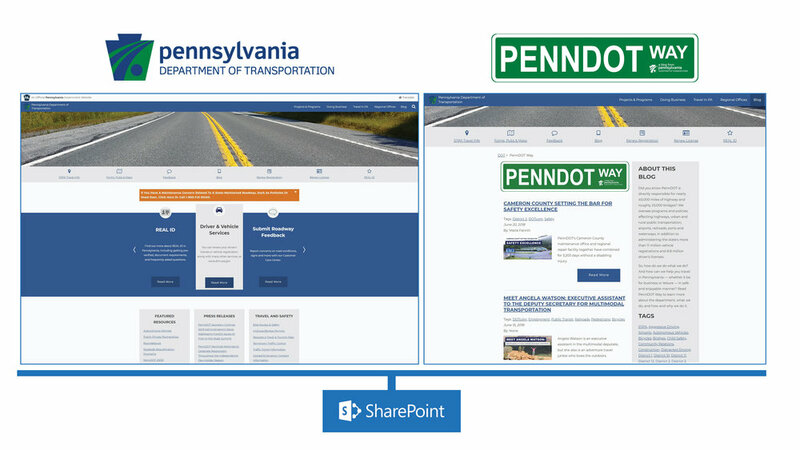 Managed the www.PennDOT.gov website which is created using the Microsoft SharePoint content management system. Responsibilities included: checking press release content and publishing on website, updating pages with relevant information, designing and publishing content for the PennDOT blog, and proof reading/approving other changes that additional content website editors make on the website. 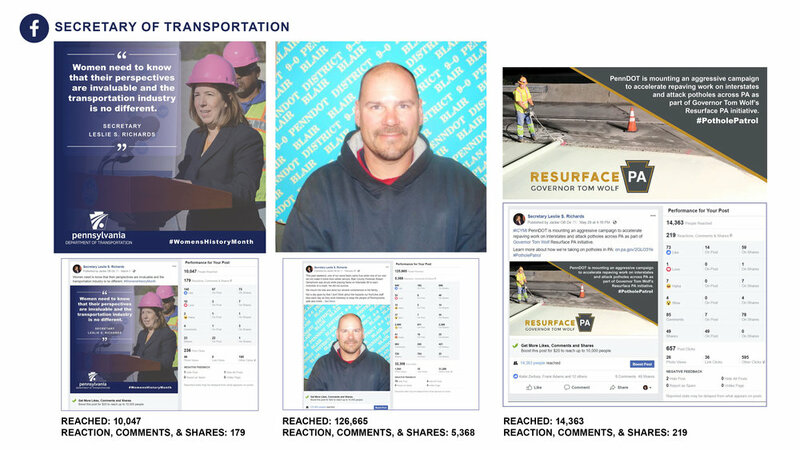 Developed a social media strategy from the core Commonwealth of PA and the Department of Transportation's values and needs. Created a monthly social media calendar to keep organized the departments main topics of interest for the public. To communicate effectively with our press office staff across the state, created monthly email blasts so they're aware of the messaging being presented to the pubic. 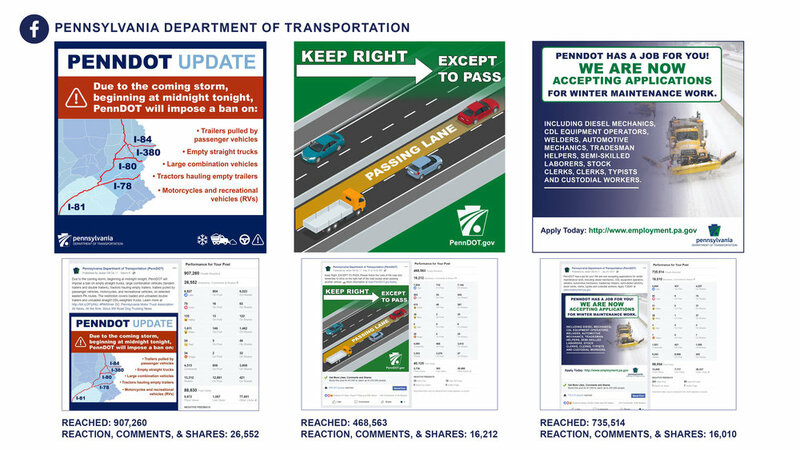 Analyzed data and designed a PennDOT 2018 Digital Report which highlights the departments digital efforts by social media, website updates, and projects and programs outreach. The data shown is from January 1 to December 20, 2018. *VIEW IN GOOGLE CHROME BROWSER. Maintained all of the social media accounts associated with PennDOT and the Secretary of Transportation (Leslie S. Richards.) Developed strategies based upon what posts had the most engagement from public. Also, answered public questions and monitored posts as needed. 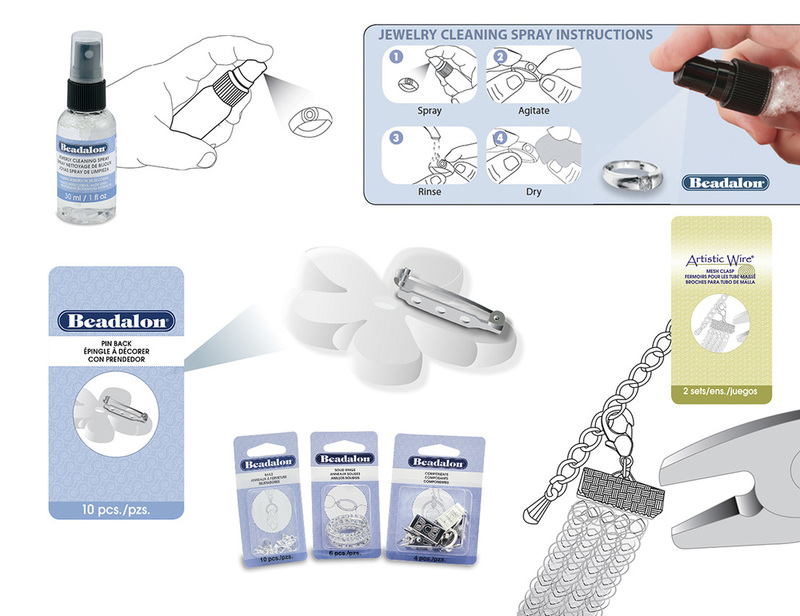 Above are some examples of successful posts. The highest post so far reached over a million people and was shared 12,000 times. 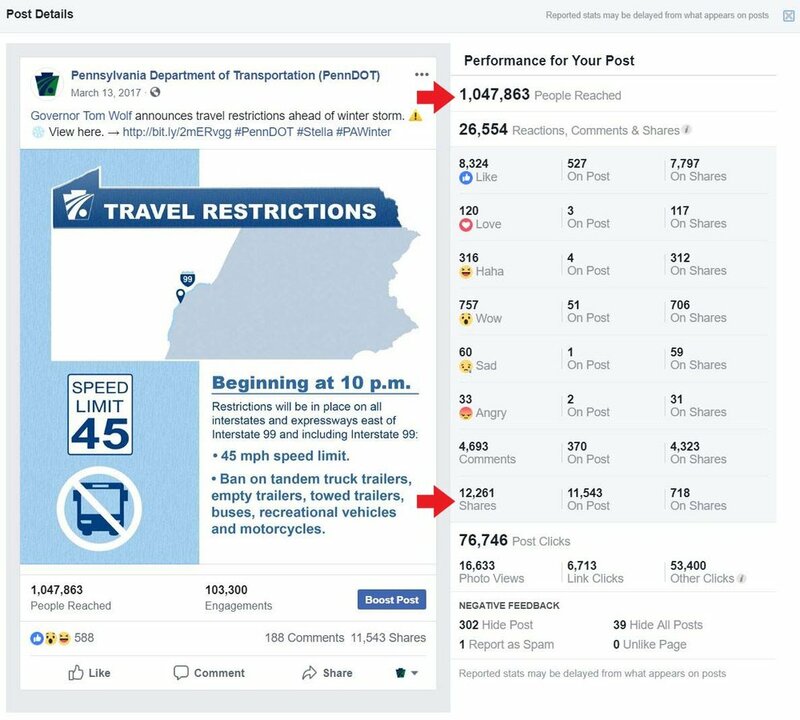 Worked with consultants to execute paid advertising and boosted posts on our social media platforms PennDOT and PA Trips by Train. The advertisements ran to bring awareness to Amtrak promotions and important safety messages, i.e., distracted driving. Also, assisted the PA Department of Insurance with animation execution for Facebook and Google advertisements. The TransComm Annual Meeting is an opportunity for transportation communicators from around the United States to build relationships that benefit their state DOTs, highlight successes, share ideas and learn from each other. It promotes excellence in communications through the exchange of ideas and educational programming. 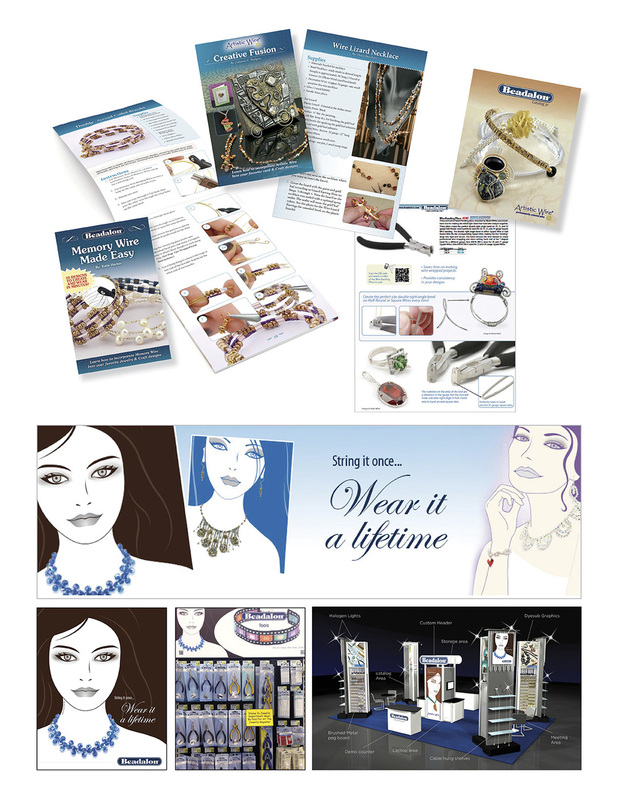 I designed two of six submissions for their annual skills awards. Presented to PennDOT Safety Partners and Community Traffic Safety Grant Program (CTSP) Coordinators about how they can use social media as a tool to communicate safety messages to the public at the 2018 PA Highway Safety Conference. Created an Instagram campaign that targeted the younger demographic bringing awareness to aggressive driving and the PennDOT blog. View aggressive driving blog article at https://bit.ly/2WJsNLJ. 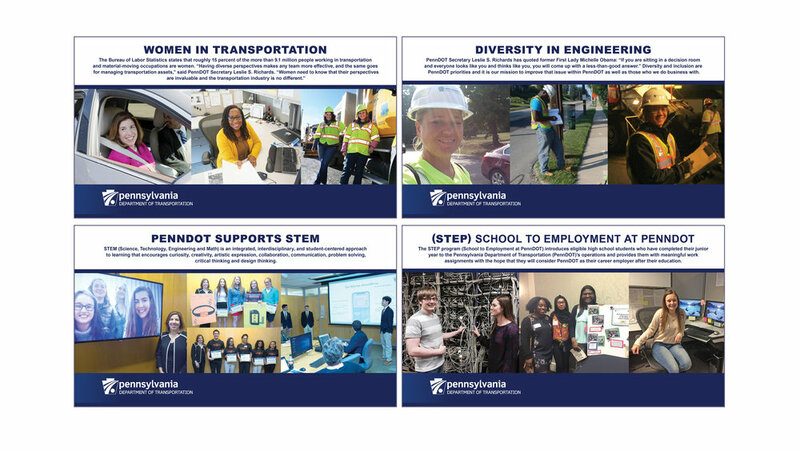 Developed parts of a presentation to show how PennDOT supports women in transportation, STEM programs, school to employment at PennDOT, and diversity in engineering. Also, showed the response from the public to related posts on social media. Initial logo explorations for the Commonwealth of PA’s first ever Code-A-Thon hosted by the Department of Information. Note: This was an open call for branding ideas. The name of event changed and these logo explorations were not selected. An Application (APP) software design for internet and smart phones that allows users to share parts of music songs to friends with the option to send an image or message along. Note: This was a freelance design project and the application is in development. Graphic and web design for a client that helps businesses in the wine industry with sales, marketing and wine education. Identity for a company that wanted to create an oasis for birds, and fellow bird watcher and nature enthusiasts, to enjoy outside and inside the home. Jurassic Birdbaths creates pieces that are ideal for use as a bird bath, garden sculpture, or tabletop accent.